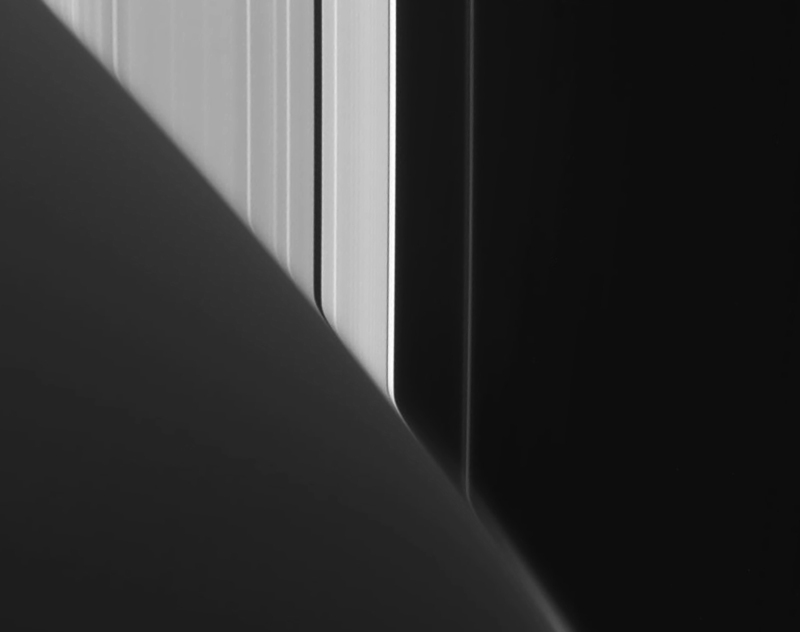 The lines of Saturn’s rings appear to get sharply bent as their reflected light passes through the upper atmosphere of the planet before being captured by Cassini’s camera in this raw image, acquired on June 9, 2016. Enormous Saturn of course is, by volume, nearly all atmosphere with a solid core only about the size of Earth. The bands of tans, blues, purples and pale greens we see in Cassini images are just the tops of clouds, and even more transparent layers of atmosphere exist above those, gradually fading out into space. Like what astronauts see from orbit when the Moon passes behind these upper layers, getting squished in the process, Saturn’s rings appear to be distorted by the same refractive process for Cassini. It’s literally an optical illusion, as obviously the rings aren’t changing shape at all! The image above has been cropped and rotated for artistic effect; see the original raw image here. Previous Post New Planet and Pluto Stamps Available Today!